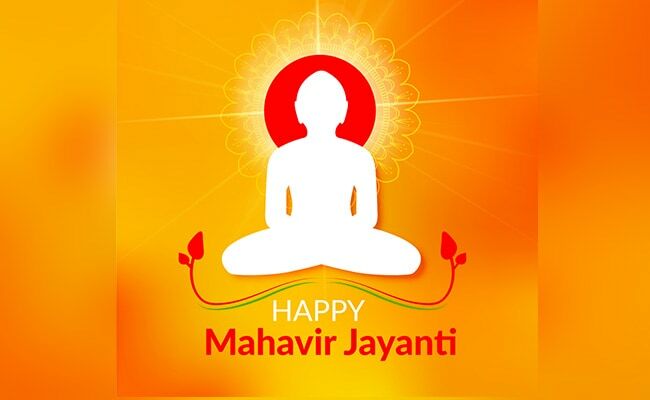 Lord Mahavir's birth anniversary is celebrated as Mahavir Jayanti. During his lifetime, he taught the virtues of non-violence, truth, chastity, non-attachment and leading a moral and principled life. Mahavir Jayanti: Lord Mahavira is usually depicted in a sitting or standing meditative posture. Lord Mahavira's life is an inspiration for all. His birth anniversary is celebrated as Mahavir Jayanti. The 24th Tirthankara of Jainism, the spiritual teacher practiced intense meditation after renouncing the material world at the age of 30. He attained salvation, nirvana or moksha at the age of 72. During his lifetime, he taught the virtues of non-violence, truth, chastity, non-attachment and leading a moral and principled life. Lord Mahavira is usually depicted in a sitting or standing meditative posture, with the symbol of a lion beneath him. According to Jain texts, Lord Mahavira's childhood name was Vardhamana. He was born in into a royal family in present-day Bihar. On Mahavir Jayanti, special programmes, prayer meets, processions are organised as a reminder to follow the lessons he preached during his lifetime. Happy Mahavir Jayanti to all!